While western NC may be better known for its scenic views and a booming craft beer industry, it’s also home to some incredible bakeries in Asheville. And it may just be possible to make a vacation out of trying out the varying baked goods. From donuts to pastries to beignets, the local sweets could satisfy the most intrepid sweet seeker. With the large number of bakeries in the Asheville area, it’s impossible to mention all of them, but we have informally surveyed some locals and come up with a possible list to try out. One possible approach to trying out a number of bakeries is to head onto Haywood Rd. If petit-fours and tarts are on your list, consider stopping by Karen Donatelli Bakery and Café. 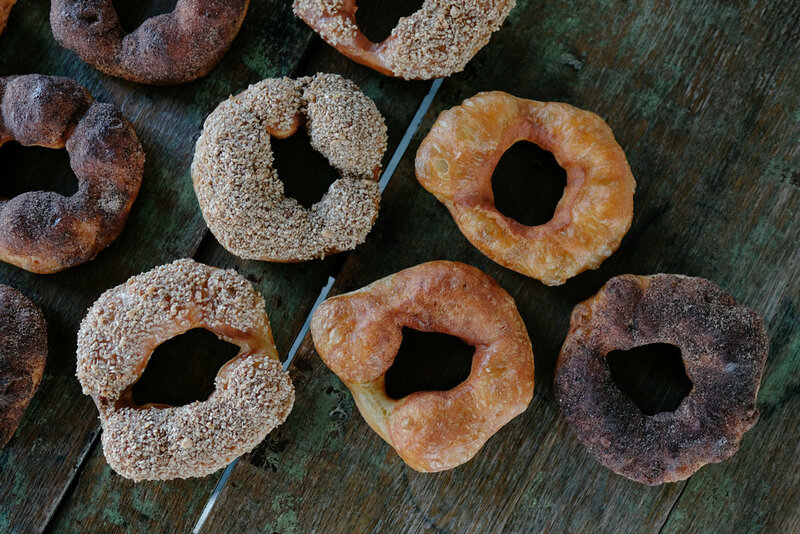 A little further along, you’ll come by Hole, which specializes in handmade donuts, among other delicious treats. Still hungry? Keep going and you will encounter OWL Bakery where you can enjoy coffee and a beignet. You can finish the tour of Haywood by stopping in at West End Bakery for scones, biscuits, and a cinnamon roll. On day two, begin at Old Europe Coffee & Pastries and then hit Vortex Donuts, a short distance away, for breakfast. City Bakery has fresh croissants just down the road, and if you’re in the Biltmore Village area stop by Well-Bred Bakery and Café for bakery treats that include some gluten-free options as well as outside seating. As a matter of fact, given the number of bakeries in Asheville, you may want to consider an extended stay so you can check them all out. Rounding out the random list of bakery locations is Over Easy Café with croissants and smoothies highlighted and Geraldine’s Bakery, featuring patisseries. Still hungry and craving a sweet? There’s NorthStar Bakehouse for cupcakes, Café Yuzu that also has some gluten-free choices, and Filo Bakery serves up Aztec hot chocolate and Greek coffee with its beignets. As you can see, the bakeries abound in Asheville! So while you may choose to vacation in the area for its hiking and the mountain crafts, be sure to take advantage of varied sweets and confections.